The cost of a short-stay tourist visa to visit Oman has just gone up from OMR5 (Dhs47) to OMR20 (approximately Dhs190). We phoned around tour companies this morning and many of them confirmed that they received a circular from the Oman Police to say that the visa fees had gone up, one tour company told us it’s now actually Dhs235 per person. At four times the price, the visa is now valid for three times the length – the OMR5 visa was valid for 10 days, while the OMR20 visa is valid for 30 days. So yes, you can no longer get a 10 day visa. This will affect many in the UAE who visit Oman for the weekend – particularly given the fjords and waters of Musandam are part of Oman and you have to go through a border to get there. 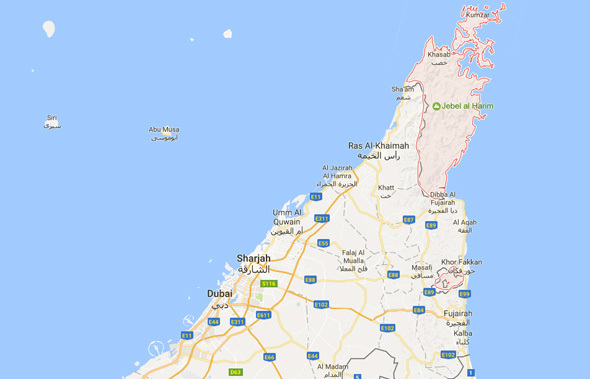 Musandam is part of the UAE peninsula but is actually a territory of Oman. So yes, it looks like popping to Musandam for the weekend will now cost you at least Dhs190, and possibly Dh235, in visa fees per person. Definitely check in with your tour operator/hotel/airline if you have travel to Oman planned to check on the specific price for your nationality – but we can confirm that it has definitely gone up. In another update, the Sultanate has now made it easier for tourists from Iran, India, China and Russia to visit the country, with these nationalities now able to apply for e-visas online according to the Times of Oman. Also, hotels with three-, four- and five-star ratings are now allowed to submit tourist visa applications for their guests. Gulf Business points out that the quadrupling in visa fees comes after news that government spending this year in Oman is projected to total OMR11.7bn ($30.4bn) and revenues OMR8.7bn, which will result in a deficit of OMR3bn. Tourism is a key industry for Oman, and they’re looking to add 6,000 new hotel rooms across the country by 2020.